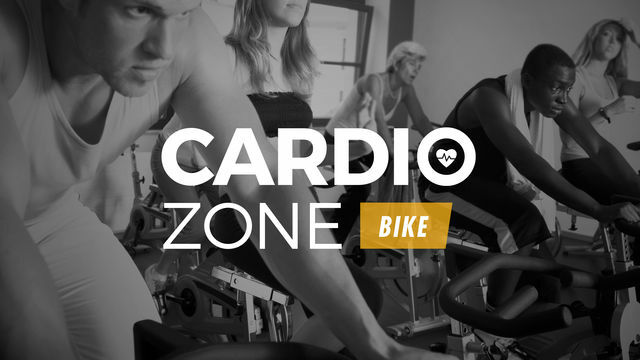 The Cardio Zone: Bike program is designed to improve your core stability and cardiovascular endurance, as well as build leg strength and muscle tone. The workouts are designed to be done on a stationary bike and guide you to change your resistance level and effort level throughout. Resistance level refers to the tension in the machine and effort level refers to the speed you push the pedals. The benefits of cycling include improving your heart health, reducing stress and losing unwanted pounds all with less impact on your joints. This program includes different types of bike workouts to keep it interesting: hill rides, interval rides and endurance rides. Get in the zone!